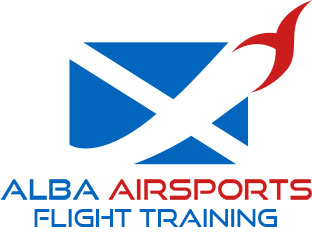 Operating from the Scottish Aero Club at Perth Airport, Alba Airsports are proud to offer gyrocopter training in association with The Gyrocopter Experience. Situated in the gateway to the Highlands, we are just three miles to the North East of Perth city along the A94 towards Coupar Angus. We offer intensive training courses for potential and converting pilots, and we offer introductory flights for the general public to experience the wonderful world of Gyrocopters. Our aim is to get as many people as possible to experience the thrill of the Gyrocopter. Book a trial flight today for that special friend or loved one, or simply come and have a go for yourself! It’s Brill – You won’t be disappointed! Alba Airsports offer you the opportunity to purchase an introductory trial flight and take to the skies in one of these fantastic flying machines. Also known as an Air Experience Flight, this is an ideal way of experiencing open cockpit flying and the wonderful flight characteristics of the Gyrocopter. If you’ve always wondered what it might be like, then this is the way to find out! An ideal gift for the budding aviator, we offer 30, 40, 60 and the ultimate 90-minute trial flight. During the flight, you will have the opportunity to take the controls and fly the gyro yourself, or you can simply relax and enjoy the panoramic views of the lovely Perthshire countryside, so don’t forget your camera! If you later decide to train for your private pilot’s licence to fly a gyrocopter, then your air experience flight will count towards your training. If you would like to purchase an introductory trial flight, then buying a gift voucher is the easiest way to proceed. The person receiving the gift can then book a specific date and time at a later stage, as our vouchers are valid for 12 months from purchase. If you already have a voucher and would like to book a date and time, then please call, email or simply pop in to arrange. Perth Airport is a licenced airfield and training establishment, offering flight instruction for Private Pilots and Commercial Pilots alike. For the light sport aviation market, Alba Airsports offer flight training to National Private Pilot’s Licence (NPPL) level and experience trial flights in Flex-Wing, Fixed-Wing 3 axis Microlight, and now in association with The Gyrocopter Experience, potential pilots and thrill-seekers alike will be able to trial and undertake Gyrocopter training to Private Pilots Licence (Gyroplane) standard PPL(G). The Gyrocopter Experience offers 5-day intensive training courses for student pilots. Courses cater for students wanting to train for a Private Pilot’s Licence for Gyroplanes or PPL(G) in addition to advanced flying training for existing pilots. Training courses are held during the week. We have a maximum of two students on each intensive training week. Students take it in turns to fly and depending on their stage of training, may share briefings. You can expect to fly an average of two and a half hours each day. It might not sound that much, but learning to fly is very absorbing and intense and it takes a while for your brain to assimilate what you’ve been taught. We discourage students from booking intensive training weeks back to back – it isn’t the most productive way to learn as you need time to fully understand and absorb everything you’ve learned. The optimum gap between training weeks is probably between one and four weeks, however, it is not unusual to have students who are learning to fly over a couple of years and have longer gaps between each intensive week. We fully understand and respect that you will probably use valuable vacation time in learning to fly and we make every effort to fly despite sometimes less than ideal weather conditions. We will sometimes rearrange the order that things get taught in an effort to make the best use of the varying British weather conditions. In the event that flying is not possible, we try to switch our attention to the various ground school topics in order to ensure that time isn’t wasted. We have had great feedback regarding learning on these intensive courses as opposed to training an hour here or there spread across a long period. It is often helpful to remove yourself from your normal everyday life and fully immerse yourself in flying training. However, if it is not possible to enrol on an intensive training course, we will endeavour to accommodate your needs on an hour-by-hour basis. Complete a minimum of 40hrs flight training (Dual & Solo) for ab-initio students or a minimum of 25hrs flight training for converting pilots. Completion of a minimum of 15 hours of dual flying training in gyroplanes. Completion of a minimum of 10 hours of solo flying in gyroplanes including:A minimum of 3 hours of cross-country, defined as a flight which takes the aircraft a straight line distance of more than 10 nautical miles from the departing airfield.Completion of a minimum of two cross-country return flights where a landing is made at an airfield different from the point of departure and the return flight is made to the departure airfield on the same day. The route taken to the destination airfield must be more than 25 nautical miles. Each cross-country flight must follow a different route. 5 ground exams covering Air Law, Meteorology, Navigation, Human Performance & Limitations and Gyroplane Technical (only Gyro Technical required for converting pilots). Ground Oral and Flight Skills Test on completion of the course with an approved flight examiner. Don’t be intimidated by the licensing requirements! Our instructors will work with you to prepare you for every step in the process. You can easily accomplish all of the requirements with our help and a reasonable amount of effort. We have a 100% pass rate! What will I need to purchase? After the first few lessons, it is highly recommended that you purchase an annual subscription to the Gyropedia online gyrocopter pilot training system. This online system not only acts as an electronic logbook to track your pilot hours, but is also a complete self-study training package, which includes videos of the flight exercises, and gives written explanations of the technical aspects of the gyrocopter, and covers the ground school topics to help you study for your ground exams. Once qualified, a recent change in the law now allows qualified pilots to self-hire a gyrocopter for personal use at reasonable rates. £130 per hour – engine on to engine off (this includes fuel and insurance).